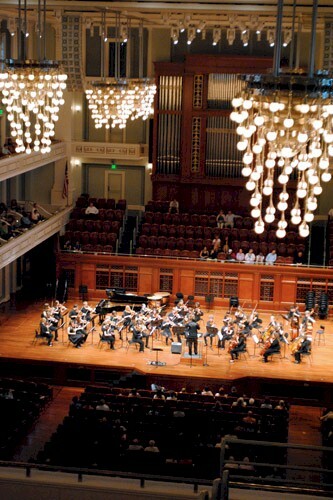 In the summer of 2007 I founded Music City Youth Orchestra with a group of ten students. 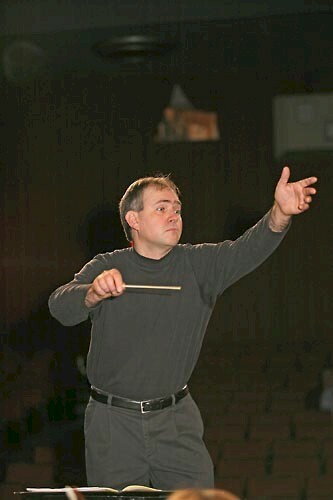 Tracy Silverman agreed to be our Artist in Residence (a role he continues to play with MCYO) and by the time we began rehearsals in September 2007 we had 20 students. I directed MCYO from 2007-2012, seeing all of the students who founded the ensemble through the program, including my son Holden who played cello with MCYO for five years from 8th – 12th grades. MCYO grew tremendously over those years – at one point we were a 45-piece string orchestra, and we explored a wide array of music including a lot of traditional classical repertoire as well as jazz and rock standards and traditional (folk) music from around the world. 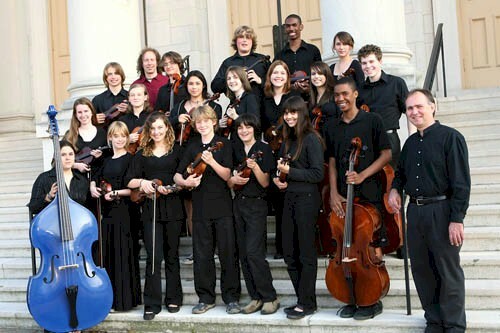 MCYO was and continues to be Nashville’s eclectic string ensemble for youth. In my five years with the orchestra we went from a scrappy group of 8th and 9th graders to a robust high school string orchestra capable of presenting full programs at major venues around Music City. Over those years we performed concerts at Belmont University, Lipscomb University, Hume-Fogg Academic Magnet High School, and several local churches. For four years in a row we performed in Centennial Park before the Nashville Shakespeare Festival‘s annual Shakespeare in the Park production. We performed at Schermerhorn Symphony Center twice as part of the Nashville Symphony’s annual Free Day of Music celebrations. 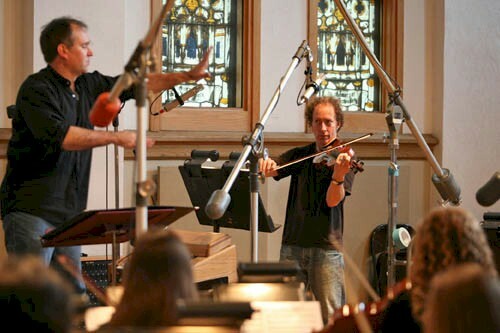 Some of my favorite MCYO memories are from those performances, including conducting Radiohead’s Paranoid Android to a packed house in Laura Turner Hall, and performing Bernie Holland’s superb Diamond Dust (made famous by Jeff Beck) in an arrangement by Roger Hudson with Tracy performing the solo on electric violin. We also recorded at world-famous Ocean Way studios on Music Row. Twice I rented the Polk Theater at the Tennessee Performing Arts Center for collaborative programs with MCYO and the Choirs of Nashville School of the Arts, including my last concert with MCYO in May 2012 which featured seven choruses from the Mozart Requiem (with recruited woodwinds, brass, and timpani). Together we explored many concerto masterpieces by J.S. Bach, Corelli, Händel, and Vivaldi as well as great works for string orchestra by Hubert Parry, Edward Elgar, Benjamin Britten, Samuel Barber, and others. Tracy and I both wrote arrangements of many jazz (Charlie Parker, Miles Davis, Sonny Rollins) and rock (Radiohead, Led Zeppelin, The Police, The Beatles, Yes) tunes and we played traditional tunes from about a dozen countries. It is my full intention – as time permits and I see clearly how to do so – to write about my years with MCYO here on Off the Podium. Below is a selection of video recordings from MCYO performances 2010 – 2012. There are many more videos – including complete works where I have only featured a movement here – from this period of MCYO under my direction on the mcyovideo channel on Youtube. Eli Bishop, who was a student of mine at Nashville School of the Arts, performed twice with MCYO – in 2009 he played a reconstruction of Sebastian’s G minor violin concerto I made (from the extant F minor keyboard concerto), and he returned in 2010 to play this 19th century showpiece based on Yankee Doodle by French violin virtuoso and composer Henri Vieuxtemps. In 2010 Holden and Margie played the Vivaldi double cello concerto with MCYO. Since the orchestra is tacet in the second movement and we did not have access to a harpsichord, I played the continuo on lute.